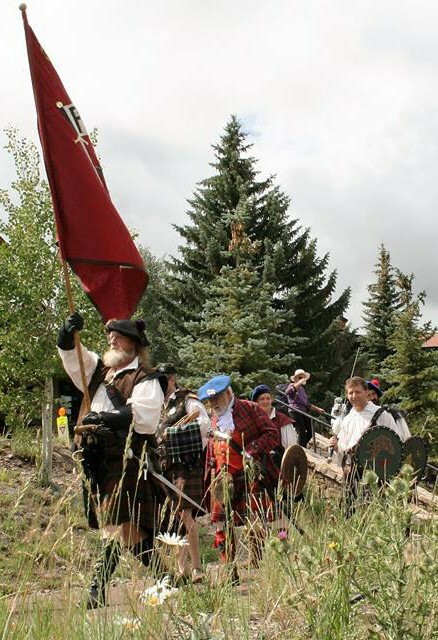 With colorful tents and banners, and folk wearing attractive Scottish attire, The RenScots’ have been delighting attendees at Celtic events in the Rocky Mountain West for 22 years. The RenScots provide a village setting where the public experiences highland Scottish life and crafts from the time of William Wallace (Braveheart) through Culloden in 1745. 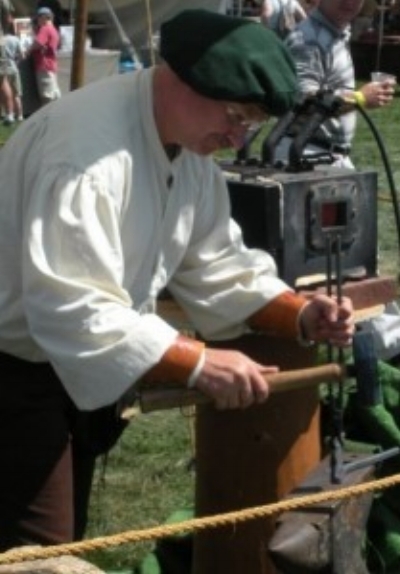 With an all-volunteer organization of over 30 talent, staff, and crew, the RenScots present 6 interactive pavilions, demonstrating more than 15 heritage crafts in an entertaining, family-friendly setting. The RenScots’ Mission is to bring Highland Scottish life and heritage crafts to the Celtic community and public in an entertaining setting, and to educate about the contributions of the Scots to American culture. they make experiencing history fun! they also teach to help preserve heritage crafts by passing them on to a new generation. The RenScots Living History Village is highly visible on the field and from the road.